We are based in Mitcham Surrey but undertake work in all of London and surrounding areas. Our goal is to take away not only your waste, but the stress's and strain's of our customers having to clear the waste themselves so that our customers can be worry free. 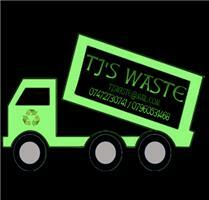 We are a family run business and have been trading for 3 years in the Waste disposal / Recycling business. We can cater for most types of waste removal including: General waste, Garden waste, Shop and Office clearance, Factory clearance and House clearance. We have access to all vehicle types from small caged Transit tippers, Luton vans and Grab lorries to cover all your waste clearance needs. We are a Licensed Waste Carrier so you can feel confident that your waste is being recycled in an appropriate manner through the appropriate services that we use to recyle our customers waste. We aim to recyle 99.9% of your waste. If you have a waste issue and would like a competitive free quote please give us a call on 07472 730741/ 07960 531468.